The Tick will be blasting back onto Amazon Prime Video for season 2 on 5th April 2019. In its second season, Tick (Peter Serafinowicz, Guardians of the Galaxy) and Arthur (Griffin Newman, Draft Day) have freed the City from The Terror — now they must defend it from new villains and old enemies. 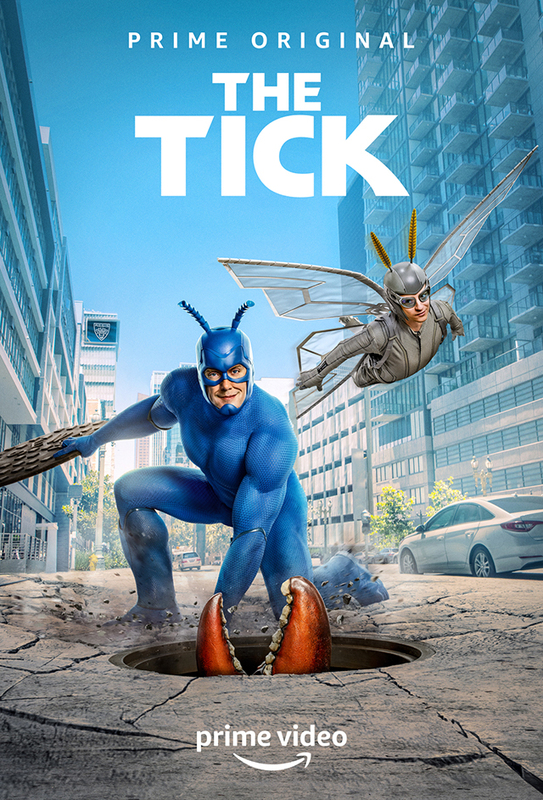 The Tick also stars Valorie Curry (Blair Witch), Brendan Hines (Covert Affairs), Yara Martinez (Jane the Virgin) and Scott Speiser (Criminal Minds). The show is created by Ben Edlund (Angel). The Tick season 2 will launch on Amazon Prime Video on 5th April 2019. Sign-up now for a free 30-day trial to see what Amazon Prime Video has to offer.